Our Rasapuri Mango Pulp is extracted from the best quality mature, ripe Rasapuri Mangoes ( Mangifera Indica, Family Anacardiaceae), using carefully monitored processes. 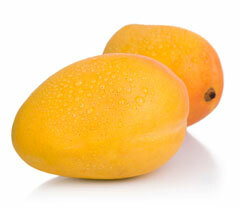 The mangoes used are free from genetic modification. The pulp is strained to eliminate peel, kernel, any coarse particles, and other impurities. The final product adheres to the following conditions - the soluble solid contents of the mango pulp shall not be less than 15% m/m, as determined by the Refractometer at 20°C, uncorrected for acidity, and read as Brix in the International Sucrose Scales.